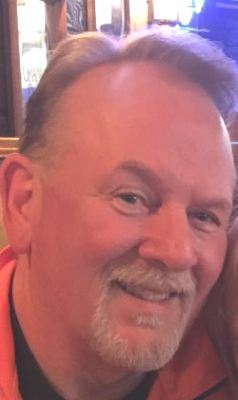 Terry L. Wingo, 60, of Fremont, Ohio, was summoned to Heaven on January 21, 2018, after a courageous battle with cancer. Terry passed in his home surrounded by his loving family. Terry was born on March 13, 1957, in Bluefield, West Virginia, to the late Thomas Charles and Wilma Jean (Porter) Wingo. Terry was raised in Van Wert, Ohio, where he was a 1975 graduate of Van Wert High School and met his loving wife of 41 years, Jayne M. (Baldwin) Wingo. Terry moved to Fremont, Ohio, in 1981, where he raised his beautiful family for the last 36 years. Terry enjoyed his family, Ohio State football, golfing, driving his Corvette, and taking his dogs to play. Left to cherish his memory are his wife Jayne (Baldwin) Wingo, of Fremont, Ohio; his children, Amanda Wingo, of Fremont, Ohio and Travis (Ashley) Wingo, of Katy, Texas; grandkids Charlie and Cole Wingo of Katy, Texas; his siblings Tom (Maudie) Wingo, Sue (Mike) Saint, Steve (Wanda) Noel and the late Todd Wingo. Terry will be cremated and have his ashes spread over the Smokey Mountains in Gatlinburg, Tennessee. A celebration of his life will be held Saturday, January 27, 2018, from 1:00 pm to 4:00 pm, at Ridgeview Club House at 68 Linda Dr, Fremont, Ohio. So sorry for your loss. I went to school with Terry. He was a wonderful person! You are in my thoughts and prayers! Jayne, I am so sorry for your loss. Cherish his memories forever. God Bless. I graduated with Terry in 1975 from Van Wert High School. I always remember Terry was a very friendly and nice guy. He was one of the centers on our 7th and 8th grade basketball team. I remember that he was very tall in Jr. High. We had a very good team those 2 years. My thoughts and prayers are with your family. Sending my deepest condolences and sincerest sympathy to Jayne and the entire Wingo family. Terry was a great man and a courageous fighter during his battle. He was a great husband , father , and a true friend to many. I will miss him dearly , especially the great times we had on the golf course. Rest in peace my friend. My husband Kevin went to school with Tom at Vantage. So sorry for your loss. I am so very sad to hear of Terry’s passing. He was a big part of my high school days and I can only think back and smile. I will never forget our great times, my friend. We could always make each other laugh. I loved Terry’s Mom and Dad and family as well. I will never forget, Terry! We can only think of Terry looking back and smile. Jayne you and your family will forever remain in my prayers. My deepest condolences to the entire family as well as the countless friends he has. Reflecting back to our Franklin Elementary School days and living just down the street from the Murphy Brothers, the Wingo Boys and Perry Wise. What a childhood memory. We are all so blessed to have know him. We are saddened to hear that Terry’s life on earth has been cut short, but now he is at peace & pain free. What a GREAT guy I got to know when I met Gary. We have some FUN memories. You are all in my thoughts and prayers. Terry was a classmate of mine in VW and like so many others, I have some great memories of him and was saddened to learn of his passing. Terry was a classmate of mine and was always making people laugh. I’m so sorry to hear of your loss. May your memories comfort you in this difficult time. I am so very sorry for your loss! My heart breaks for you. Ill keep your family and you in my prayers.